When your home improvement project timeline is short (Can I get this done over the weekend? ), you have to be selective about what you want to work on. Focusing on these quick and easy projects will make the most of your time and give you the biggest bang for your buck. You don’t have to spend thousands of dollars at one time to update a bathroom. Tackle one project per weekend and, before long, you’ll have a fabulously improved space. Start at the bottom by sprucing up your bathroom flooring. Your favorite ProSource trade pro member can install a new surface underfoot in no time. One option to stay on budget is with high-performing luxury vinyl tile – it’s an easy way to get the look of natural stone, ceramic, marble, or concrete. Plus, many styles can be laid over existing flooring. Modernize the space with a new vanity or pedestal sink, and “add new sink and tub faucets for big impact,” says Allison Horbaly, an interior designer in the DC Metro area. You can change the entire look of the space with the perfect fixtures. 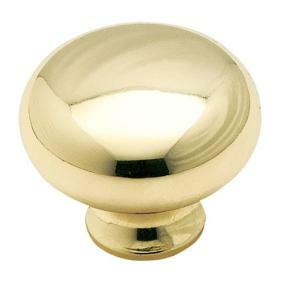 Instantly transform the space with new cabinet knobs and drawer pulls. Try brushed nickel for a sleek contemporary look, colored glass for a cozy cottage feel, or bright brass for the latest trend. It’s a small change that delivers big results! Redoing the bathroom walls is an easy way to make a big impact. 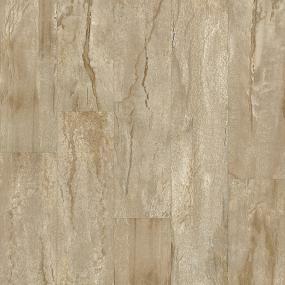 Replace the existing surface with gorgeous new tile (think marble- and natural stone-inspired finishes). Your trade pro can get it done – the toughest part for you will be selecting from an impressive array of colors! Choose a wall (anywhere in your home), and do something special with it. “There are endless options, depending on your style,” says Daniels. “If you love the farmhouse style, try a shiplap accent wall. If you’re more on the traditional side, go with a board-and-batten treatment on the bottom half of the walls.” The unique wall treatment will infuse your home with personality and give it a custom feel. “You can save a lot of energy with some caulk and duct tape,” says Jacob Bayer, CEO at Luminext. “Apply weather stripping on all doors and windows to the gaps through which energy leaks, seal cracks with caulk or sealant, and use duct tape to prevent air leakage from vents.” Focus on window frames, electric sockets, vent holes, and other leak-prone spots. Many homeowners have taken to creating an area rug of their liking. This can be done using just about any broadloom carpet, opening up additional design possibilities. No matter how big or small your next project, there’s no need to go it alone. ProSource Wholesale is here to help. Peruse the inspiration images for looks that you like, and the online catalog of products that can recreate that look. Add those you like to the myProSource Project Center, then contact your local showroom, whose experts can help you.